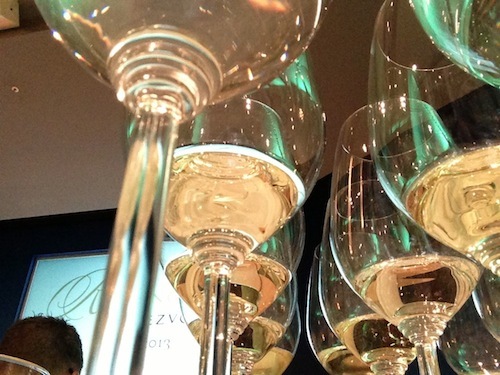 SEATTLE – Yashar Shayan has been legally able to taste wine for just eight years – and he has made every moment count. At a seemingly frenetic pace, he has worked at Puget Sound wineries, restaurants, retailers and even the Washington State Wine Commission. Now he is pouring all of his experience and knowledge into his new business, a one-man show called Impulse Wine. Focusing primarily on small, new Washington wineries, Shayan sells exceptional, hard-to-find wines to those who sign up to receive his emails. It’s a retail model that has gained traction in the past couple of years, and Shayan is using his wine expertise and vast Seattle connections to share new discoveries and sate his entrepreneurial thirst. 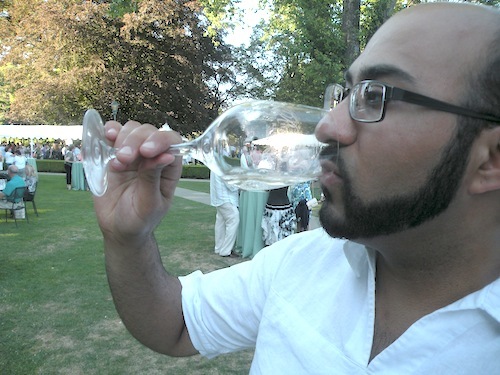 Shayan, who was born in Iran and grew up in Vancouver, Wash., discovered his passion for wine while earning a sociology degree at the University of Washington. Since then, he has worked at such wineries as Matthews Cellars and Efeste, learning about winemaking from the inside out. 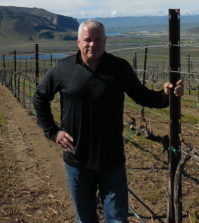 He helped open Wine World Warehouse in Seattle and also has worked at such restaurants as Seastar, Wild Ginger, Bin on the Lake, Palisade and Willows Inn. And not satisfied with simply learning on the job, Shayan also is a certified sommelier with the Court of Master Sommeliers, has earned certification from Wine & Spirit Education Trust (WSET) and the International Sommelier Guild and has taken sensory classes at Walla Walla Community College. About the only thing he hasn’t done in the past eight years is toast and assemble oak barrels or grow his own cork trees – yet. Shayan started Impulse Wine in January, then spent the next few months navigating through the various city, county, state and federal paperwork necessary to launch an alcohol-based business. At the same time, he tested various e-commerce tools and got Impuse Wine launched so customers could start signing up for his emails. By June, he was ready to launch. His first featured wine was Manu Propria‘s 2010 Ex Animo Cabernet Sauvignon, made by his friend Mike Macmorran. The two met while working at Matthews Cellars. Shayan was working at Willows Inn on Lummi Island near Bellingham when Macmorran came out with his first wine. But by the time Shayan got Impulse Wine up and running, Macmorran’s wine was sold out. Shayan immersed himself in the Seattle wine and restaurant scene and is part of a new breed of young wine professionals who grew up with always-on Internet and a high-tech outlook on life. Thus, it makes perfect sense that he would adopt new forms of communication to sell one of the world’s oldest beverages. Email is his main tool. He also uses social media tools – primarily Facebook – to drive potential customers to his website and sign up for his free emails. Shayan doesn’t have a warehouse to store his wine – he sees that as a somewhat unnecessary cost that would need to be passed along to his customer. Instead, he employs what is called the “just-in-time” model. 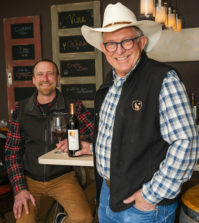 Instead of building up a large inventory, he approaches a winery, estimates how much he can sell and makes that amount available to his customers. Whether he sells one case or 20, that’s how much he buys from the winery. His customers have the choice of having their wines shipped to them or picking them up at his Seattle location. The wineries, in the meantime, get the added benefit of being exposed to new customers. Already, Shayan is being approached by small, high-end wineries who want that kind of exposure to his growing list of fans. 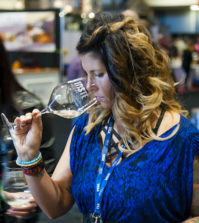 “It’s a powerful tool for the wineries to get a customer base built,” he said. One of Shayan’s goals is to find undiscovered gems. Shayan plans to keep most of his focus on the Pacific Northwest, particularly Washington and its 800-plus wineries. But he’s not opposed to going outside of the region when his palate leads him in other directions. Indeed, after last week’s Riesling Rendezvous in Seattle, Shayan was so impressed with the Robert Weil 2008 Tradition Riesling from Germany’s Rheingau region, he quickly acquired two cases and began selling the $35 wine for under $20. While Shayan has become used to charging ahead into the wine business during the past eight years, he admits that launching his business is a particularly big challenge. Great article! I started to purchase from Impluse regularly and im estatic with the results! Its beats spending an hour reading different bottles at the store trying to figure out what i would enjoy! Highly recommend it for people who want more for less $!! 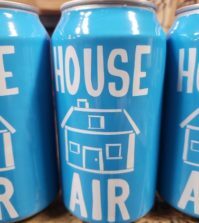 LOVE Impulse – always interesting finds/gems at great values – keep it coming and thanks for making it so easy to find/acquire great wines and lesser pricepoints!